I think a colour-shot in the arm may be required to get this new week underway, and luckily, I may just have found the perfect tool! 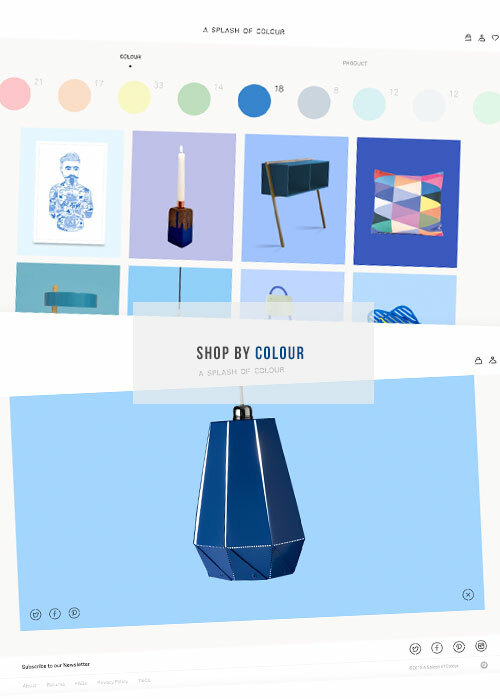 I am always searching for new and exciting sources of inspiration and ways to shop for interior accessories online, which is why new British e-store, A Splash of Colour, really caught my eye when I recently stumbled across them on Twitter. Whilst the influx of new web-based shops shows no sign of cooling down, the pressure is on for new and original concepts to stand apart from the competition. 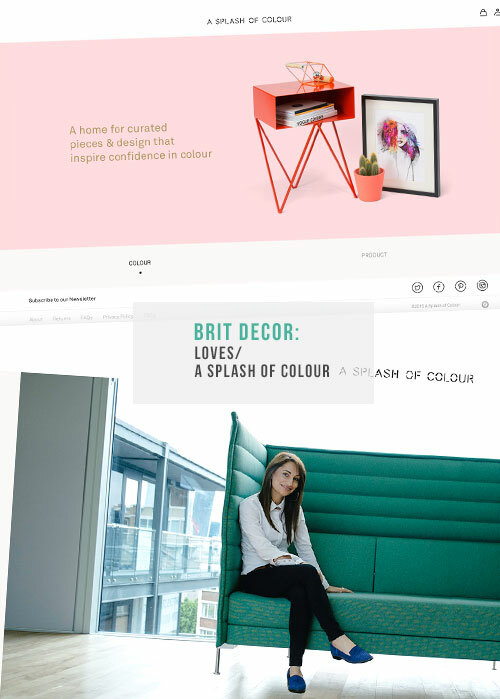 A Splash of Colour is the brainchild of PR and Comms professional, Natasha Brody, and is based on one very simple principal - Natasha's love of colour, furniture and design. 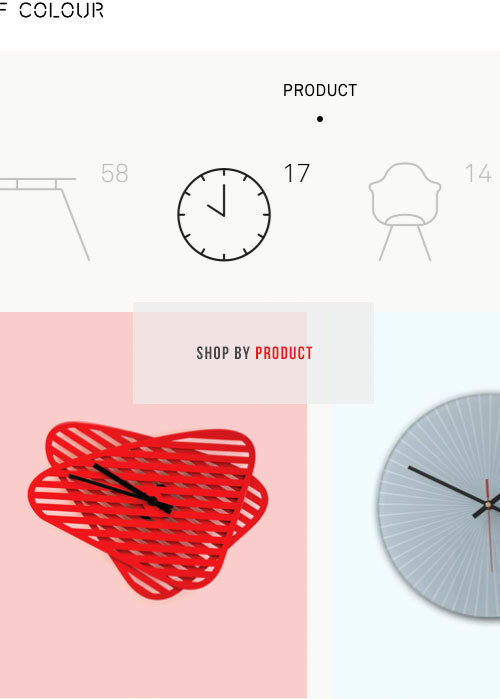 The site looks sharp, simple and is loaded with bold colours and attention-grabbing products. As a shopper, it's oh-so simple to navigate around the store by choosing a colour from the scrolling list of swatches, which instantly delivered a selection of furniture and accessories in my chosen hue. Alternatively, if you are looking for a particular product, say a coffee table, just select this from the scrolling list of line-drawn thumbnails, and an array of trend-conscious coffee tables will appear. I hope you are inspired, Happy Monday.